As much as I was distraught by eight years of Bush/Cheney, my sanity was soothed by the certainty that one day it had to end. The American people would return to their senses, a bold new leader would arise, the future would brighten. But the same cannot be said for a scourge that will continue to devastate the nation. It poisons our youth, desecrates our culture and threatens to leave a vast wasteland in its vapid wake. Of course, I’m talking about American Idol. I wish I could say the popular show is setting music back 25 years, but that would be too much to ask. Musically speaking, the past is the present. I tremble for my cool when I hear I myself saying, consarnit, music just isn’t what it used to be. But back when I went to college in the paunchy part of the 1980s, they were playing great, current music from the 1980s. Bruce Springsteen, Bob Seger, U2, Journey and Tom Petty were all making vital contributions. Today, I go back to those same Athens, Ohio, bars and hear many of those same songs. I look at my gray-haired and balding buddies and lament the only thing that ever changes is us. We’d have torn the bar apart in an Ouzo-fueled rage if in 1985, we’d have gone into the bar and been subjected to nothing but 1965 ditties by the likes of Perry Como and Bobby Vinton. But it’s the future of music for which I cringe. American Idol sets the trends in gaudy fashion, pouty posing and fractured commentary. Paula Abdul recently confessed to a 12-year pill addiction, but hastened to add she was never high on Idol. Really? That’s what she’s like when she’s lucid? If I were a show producer, I’d order her to refill her Vicoden prescription. Musically is where it does the most damage. There are some clearly talented singers on the show, but ever since the success of Kelly Clarkson, all the girls and most of the boys have tried to sound exactly like Kelly Clarkson. 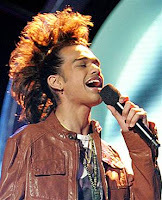 I think the show lost all credibility the year someone no one remembers beat out the great Sanjaya Malakar. Now, that guy was entertaining. As soon as I can find a big poster from the night he sang ‘You Really Got Me,’ by the Kinks with his hair piled up in that ridiculous faux-hawk, I’m putting it on the wall in front of the desk in my office. The sweet-smiling Indian kid will always be my American Idol. 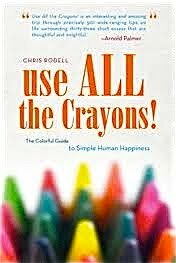 As for the judging, 75 percent of it is drivel. I sputtered in outrage after some long-gone top 10er sang, “Make You Feel My Love,” and Randy and Kara both gushed it was a moving interpretation of a great Garth Brooks song. She does a wicked Simon Cowell. He’s the only reason I let her even watch the show. He’s brilliant. After all the oral fluff from Randy, Paula and dippy fifth wheel Kara, some bracing insight from Simon is a catharsis of honest interpretation. Maybe someday they’ll rule on the case of who murdered all the music back in 1989, consarnit! Here are some uniquely ‘80s songs you can still hear in places like The Junction and Pawpurrs on Court Street in Athens, Ohio. Feel free to add to the list. Please, nothing by Paula Abdul. Oh man, I am with you about this subject and the quality of music and lyrics. I'm raising my girls on Bob Seger right now and they know all the words to "Like a Rock." While I used to enjoy the show for a few seasons, I have to say this latest season is useless. Unfortunately we are now seeing these "less-than-amateur" singers on the stage rather than truly inexperienced contestants. It has morphed away from the idea of finding that diamond in the rough to letting the losers who never got a decent gig (for whatever reason) get their shot at fame. 90% of it is boring, and occasionally there's the one person who actually makes it worth watching. Then its boring because you already know that person is going to win. As for the judges, I whole-heartedly agree with you. Simon is the only one with any idea what good singing is, and more often than not I agree with his sentiments. PS Still have my 'til Tuesday album. LOLOL! When I was growing up in the 80's I wasn't allowed to listen to it, because the lyrics were too much for kids. So I really grew up on the Beach Boys and The Monkeys! I've just now, started reconnecting with the music from my past. But, I do like the new stuff too. I'm all about the lyrics--tell me a story, with an awesome voice and I'm sold. Thanks one and all! Your friendly comments flatter me. Yeah, I hate to sound so curmudgeonly, but the music seems to have died in 1989. Nothing to hum from the 1990s or the aughts. I like old country and Americana best these days. Whenever I get frustrated by the problems of being a writer, I remind myself to thank God I never learned to play the guitar. Geez, those poor artists are really screwed by a system that elevates American Idol over some of the great songwriters working out there today.